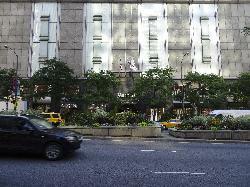 View of the front face of Chicago Marriott Downtown Magnificent Mile from Michigan Avenue. 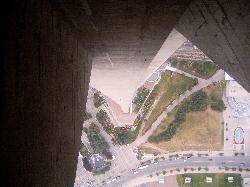 Looking at street level throught the glass bottom floor, from the CN Tower Observaion Deck. 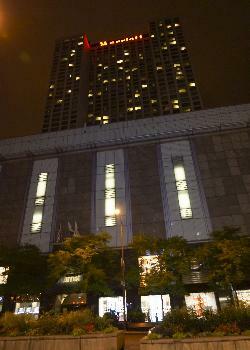 350 metres above the ground. 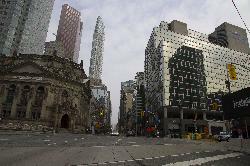 Street view of the entrance to the Omni King Edward Hotel in Toronto. 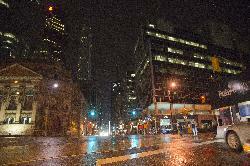 Taken along King Street looking west towards Yonge Street. Entering Massachusetts on Highway 1A entering from New Hampshire. Near Salisbury Beach. 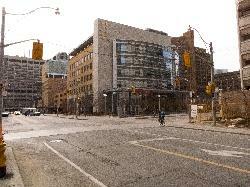 View of east side of Mount Sinai Hospital from Gerrard Street in Toronto. 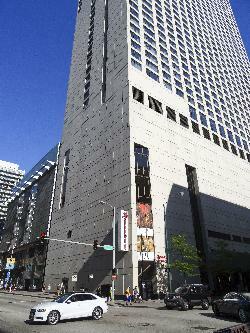 Mount Sinai is located on University Avenue. 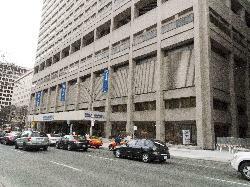 Front of Mount Sinai Hospital take from the median of University Avenue in Toronto. 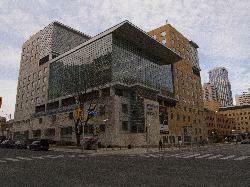 Photo of the Peter Munk Cardiac Centre at Toronto General Hospital. 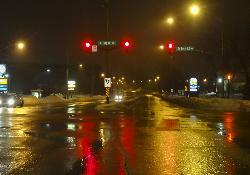 Taken across the street on University Avenue. 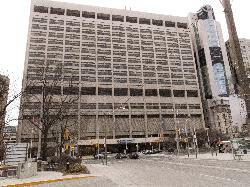 View of Toronto General Hospital R. Fraser Elliott building on Gerard Street viewing west.